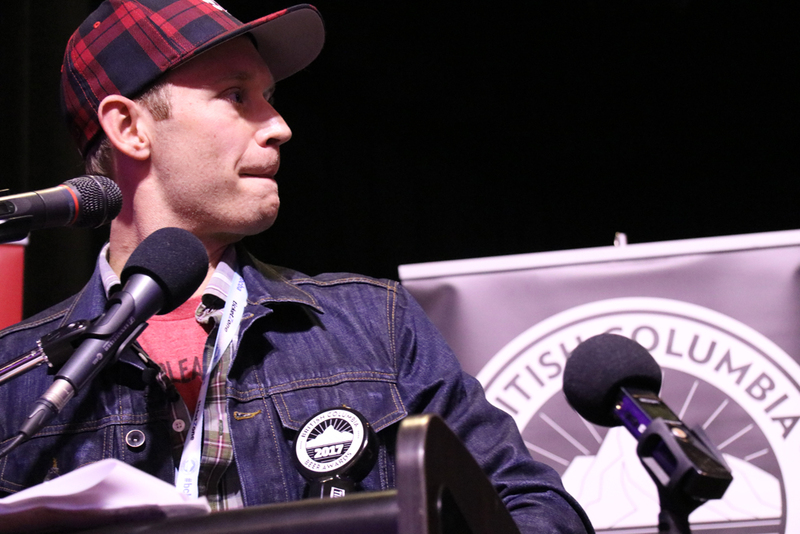 The newly expanded BC​ ​Beer​ ​Awards and Festival took place in Vancouver on Saturday, with six-month-old Mount Arrowsmith Brewing Company of Parksville taking the inaugural Brewery of the Year prize. The other big winner in the eighth annual BC Beer Awards ceremony — a highlight of the province’s annual beer calendar and the showpiece event of BC Craft Beer Month — was a smoked lager collaboration between Victoria’s Swans Brewery and Nanaimo’s White Sails Brewing , which earned the coveted Best in Show award. Brewery of the Year was one of several new awards announced, including a raft of Creative Industry Awards and Innovator of the Year, awarded to Twin Sails Brewing of Port Moody. Backcountry Brewing of Squamish was named Rookie Brewery of the Year. 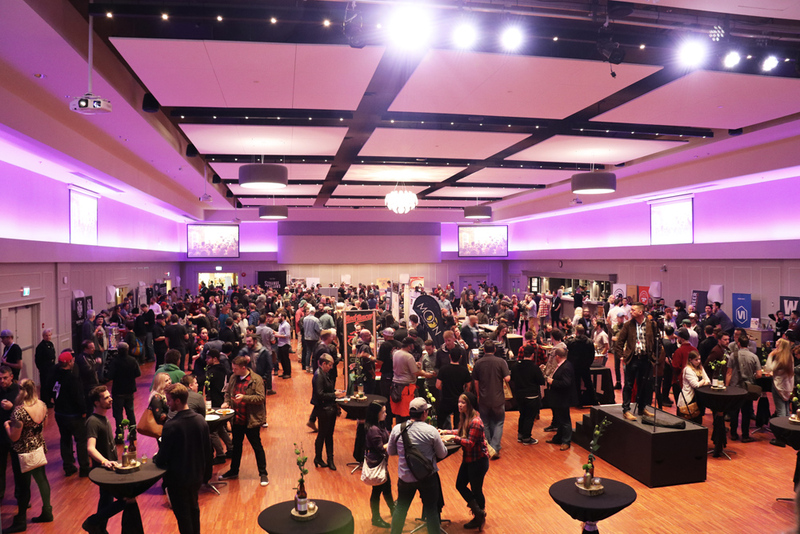 The awards ceremony at the Croatian Cultural Centre, hosted by the CBC’s Dan Burritt, was wrapped into a lavish beer festival featuring almost 70 BC breweries and eight cideries, an impressive showcase of the craftsmanship the province has to offer. For the individual style awards, judges took three days in late September to work their way through 879 entries — a record number — from almost 100 BC breweries. Awards were presented over 30 categories. 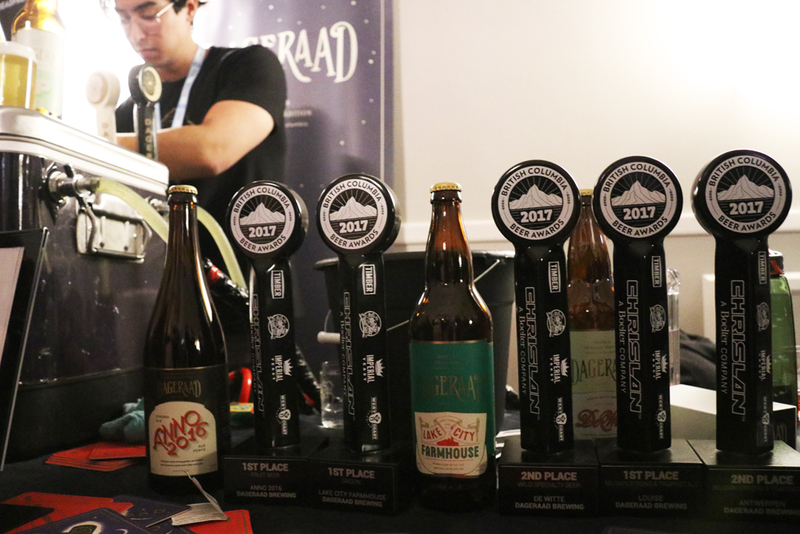 Breweries from Metro Vancouver’s suburbs recorded the best award hauls, with Dageraad Brewing of Burnaby taking home the most golds (three), along with two silvers and an honourable mention. Twin Sails (two gold, two silver, two bronze) and Steel & Oak Brewing Co. of New Westminster (four silver, two bronze) also won six honours each, while Twin Sails’ next door neighbour Yellow Dog Brewing Co. took home two golds and a bronze. Vancouver was strongly represented by Bomber Brewing (two golds, two silvers), Parallel 49 Brewing Company (two golds, two bronze and an honourable mention) and Strange Fellows Brewing (two golds), while R&B Brewing struck gold in the most hotly contested category of North American IPA (82 entries) with its Vancouver Special IPA. Even more hotly contested was the Best in Show award, which was decided between the 30 category winners. Judges ultimately settled on the Oktoberfest Flammenbeer, a subtly smoked amber lager brewed collaboratively by Swans and White Sails. At the present time, the Flammenbeer is only available in limited quantities on draught and in bottles on Vancouver Island, but no doubt more will soon be brewed to satisfy what will certainly be high demand for this beer. Some judges had to put in an additional shift immediately before the awards to decide the winner of the Brewers Challenge, which this year took the theme of a single-malt, single-hopped (SMaSH) beer. The award went to Postmark Brewing‘s Bohemian Pilsner. Other notable results included Twin Sails sweeping the Imperial IPA category, and Boombox Brewing winning the CBC People’s Choice Award for the second year running, this time with its Rad Seeker IPA. The final award announcement of the night gave the Brewery of the Year award to Mount Arrowsmith, which scored a gold for its blonde ale and a silver for its saison. The decision came down to the percentage of beers a brewery entered that won awards, organizers said. 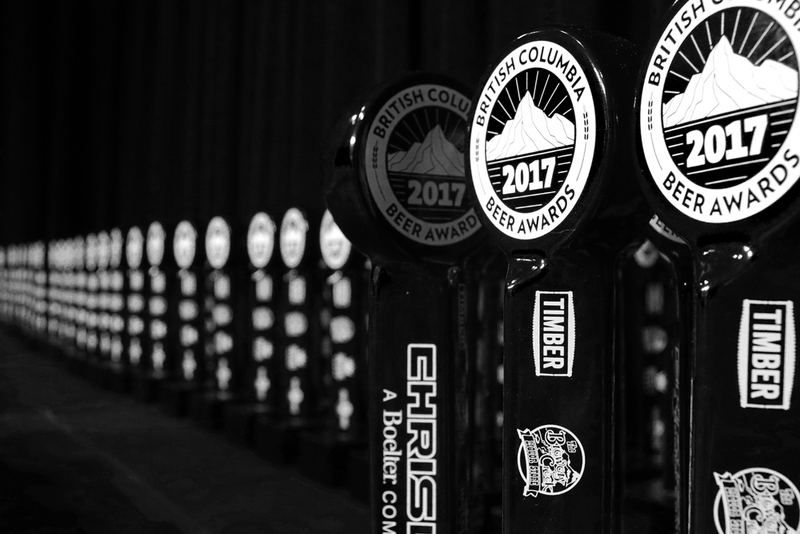 Read on for the full list of winners of the 2017 BC Beer Awards, and listen to our podcast here.